Alberta auto dealers have been spared additional costs and accountability now that the Members of the Legislative Assembly have killed a proposed bill that would have forced repair shops to provide estimates before any work is done and also issue warranties on all parts and labour. NDP MLA Jon Carson’s private member’s bill, the Fair Trading (Motor Vehicle Repair Pricing Protection for Consumers) Amendment Act, would have only allowed auto repair shops, including those at dealerships, to forgo providing a free estimate if customers specifically declined one or if the customer specified ahead of time the maximum amount they were willing pay for the repair. Customers would have also needed to provide written consent before any repairs are made. Denis Ducharme, president of the Motor Dealers’ Association of Alberta, said the new law would have cost his members time and money. He said despite diagnostics tests, sometimes mechanics and technicians needed to physically search for a vehicle’s problem before being able to give an accurate estimate of the repair cost. But under the proposed law, the time spent searching for that problem could not be billed to the customer. 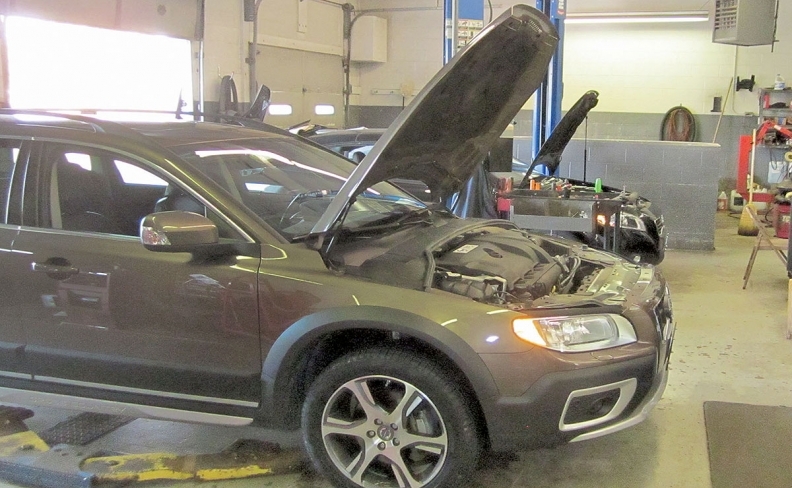 According to the Alberta Motor Vehicle Industry Council (AMVIC) and the dealers association, there were 45 complaints from among the five million auto repairs made between June 2014 and June 2015. The association couldn’t put a monetary value on how much money the bill, if passed, would have cost individual dealers, Ducharme said. “The only thing we mentioned in our presentation to government was that it would have cost a lot, and it would have been consumers who would have been paying most of the cost,” he said. Ducharme and others in the auto industry told MLAs during hearings that the proposed bill duplicates measures already written in the Fair Trading Act, which is designed to protect all consumers. And AMVIC already has the authority to investigate dealerships and file charges under the Fair Trading Act and Criminal Code. “They already provide great consumer protection,” Ducharme said of the act and AMVIC. Carson, who didn’t consult with the Motor Dealers’ Association of Alberta, told the Standing Committee on Families and Communities, which was examining his bill, that his proposals could only strengthen the Fair Trading Act. But MLAs questioned why they should bother with it, CBC Edmonton reported. "Why do you believe that this committee should ignore experts and proceed with this bill?" Wildrose MLA Mark Smith asked, according to the national broadcaster. So the committee decided Jan. 23 the bill was too flawed to recommend for second reading. “We felt that through more of an emphasis, in terms of educating the consumers about the legislation that’s already in place and what their rights are, we’d be able to achieve a better marketplace rather than trying to bring in some legislation that was going to make the way we do business more difficult,” Ducharme said. That’s exactly what the committee decided to do and passed a recommendation that the government design a program to educate all consumers about the Fair Trading Act and how it can protect them. Carson didn’t immediately respond to interview requests placed by Automotive News Canada.